Windows don’t just let in light, they can define a period, capture an era and our history. This 1925 Queenslander with characteristic federation style windows is a case in point. If the windows are the eyes of the home, can you just imagine what these windows have seen?! The history that we can only read about in history books, or more commonly online these days, was lived inside these very windows. That is the wonder of living in a period home! As these home owners appreciated, such historic windows deserve TLC, which is our sentiment exactly. The Get it Clean Team know how to treat such aged beauties with care. When it comes to cleaning federation style windows they are unique and extra care and attention is needed. As unfortunately many have experienced when it rains, the age of these windows can show and water can sometimes leak in. Well not so when our professional team get to work. Our team ensure that when the windows are being cleaned outside, no water leaks into your home. By the time we leave your property, you will just be left with a crystal clear view from the eyes and soul of your home. 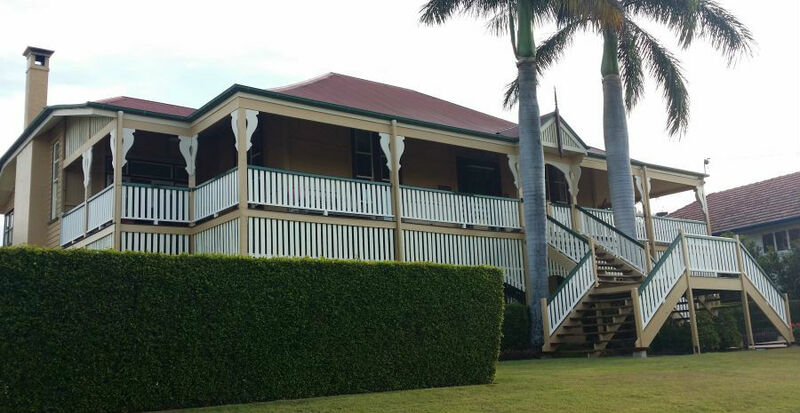 So if you have a period home, a classic Queenslander, give it the care it deserves. Call the Get it Clean Team so we can help you restore your windows to their former glory.